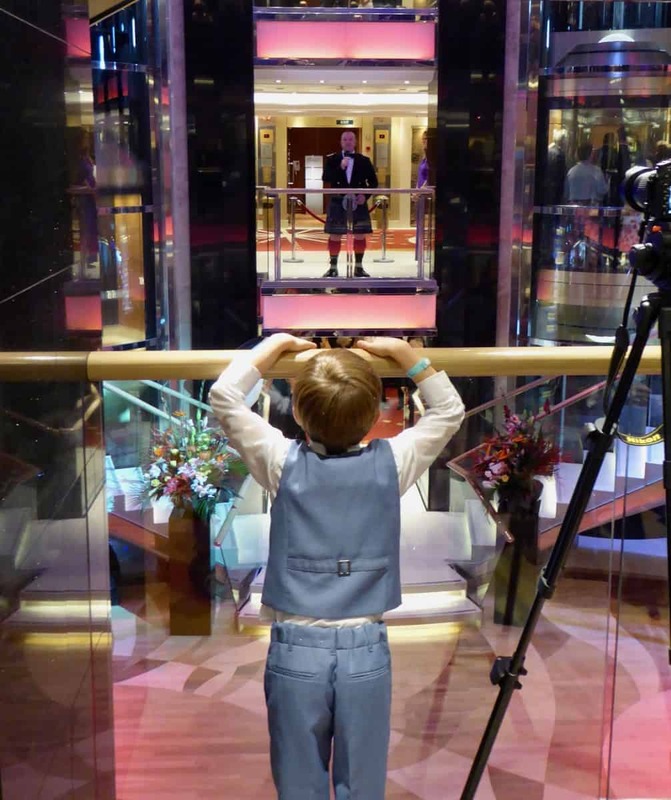 Whether you are new to cruising or regular family cruisers you don’t want to miss out on these unique cruise experiences! 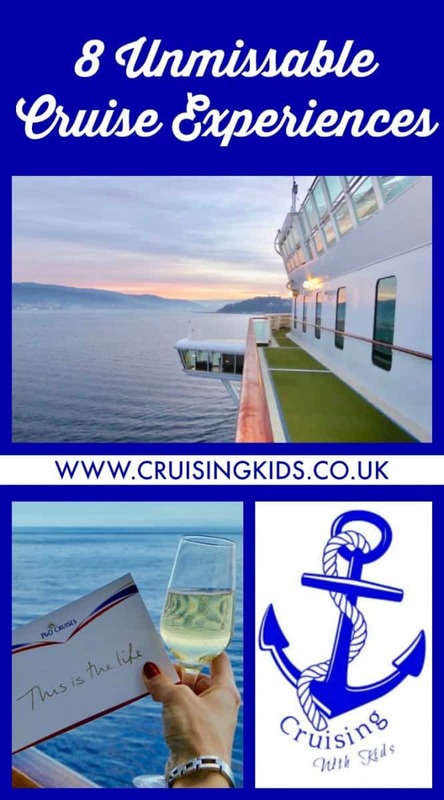 There is simply nothing more exciting than embarking a ship and celebrating the start of your cruise with a cheeky glass of fizz (or non alcohol cocktail for kiddies) on deck whilst the ship sails away from port. Top tip – By law, every passenger has to attend a lifeboat drill prior to a ship departing from port. After the drill pop your lifejacket back in your cabin and go and grab a good spot for the sailaway…. I personally enjoy the party atmosphere around the pool bar although, if you are lucky enough to have one, you may prefer celebrating on your own private balcony! The perfect opportunity to dress up and mingle with fellow passengers, (whilst sipping a complimentary glass of wine of course!) This traditional event is always fun to attend with ladies wearing long formal dresses, men wearing black tie and kids looking really cute in their party clothes! It normally takes place on the second night on the cruise just before the first formal dinner. (This is to give passengers chance to settle into a life onboard). Depending on the Captain’s sense of humour, (or lack of!) it can be a quite witty speech with introductions to all of the senior officers onboard. Top tip – Prior to travel establish the dress code for the cruise line you are travelling with. Your pre-cruise literature should list how many formal, informal and smart/casual nights there will be during your cruise. You should also be informed about any fancy dress evenings. 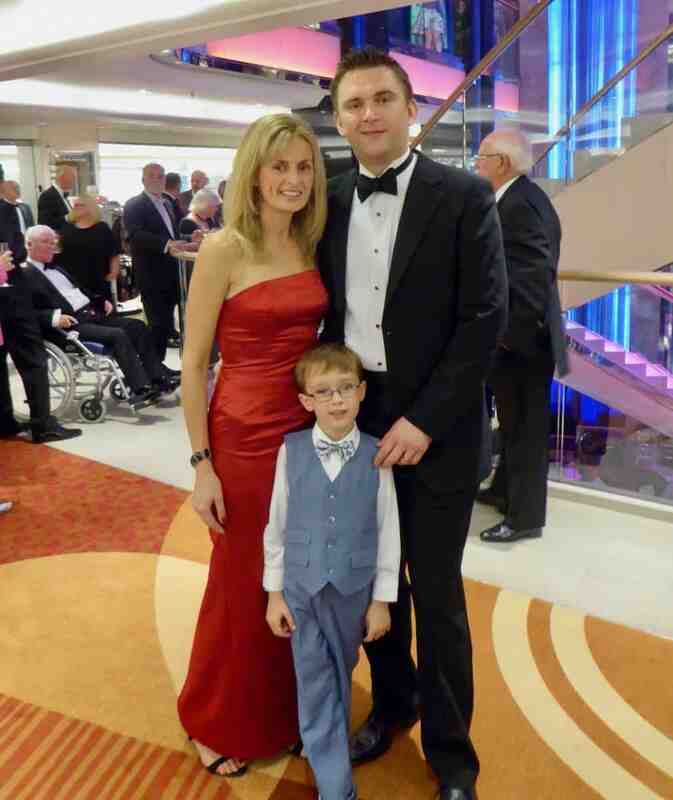 My husband, eldest son and I dressed up for Captains welcome onboard cocktail party onboard P&O Cruises Ventura. Don’t miss the sailaway parties on top deck. 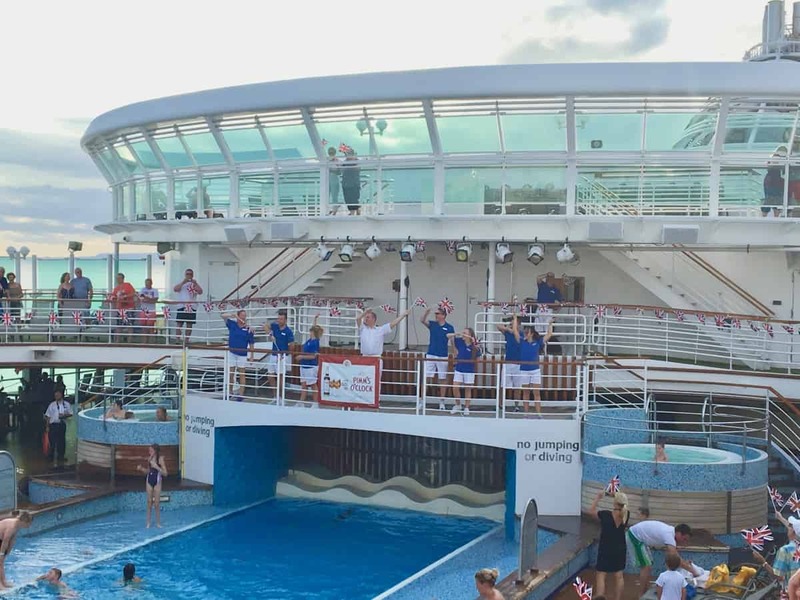 Hosted by the entertainment team, they are a great opportunity to have a sing-a-long to some cheesy music and make your way through the cocktail menu, whilst bidding farewell to the port you have just spent the day exploring. Top tip – Make sure you read the ships newspaper, (usually delivered to your cabin every evening) so you don’t miss out on the celebrations! It’s worth carrying the newspaper around with you as it lists all of the onboard entertainment taking place (and also dress codes, port arrival/departure times, etc). Captain and entertainment team leading the sailaway party onboard P&O Cruises Ventura. ‘Great British Sailaway Party’ onboard P&O Cruises, Ventura. Believe me I enjoy sleeping in on holiday BUT it’s worth setting your alarm to get up early and experience the arrival into port. I’m always amazed at the ease at which the Bridge officers bring the ship alongside the dock. Top tip – If you are lucky you may experience a spectacular sunrise so have your camera at the ready! Sailing into Vigo, I felt like I had the ship to myself. It was very quiet on deck. 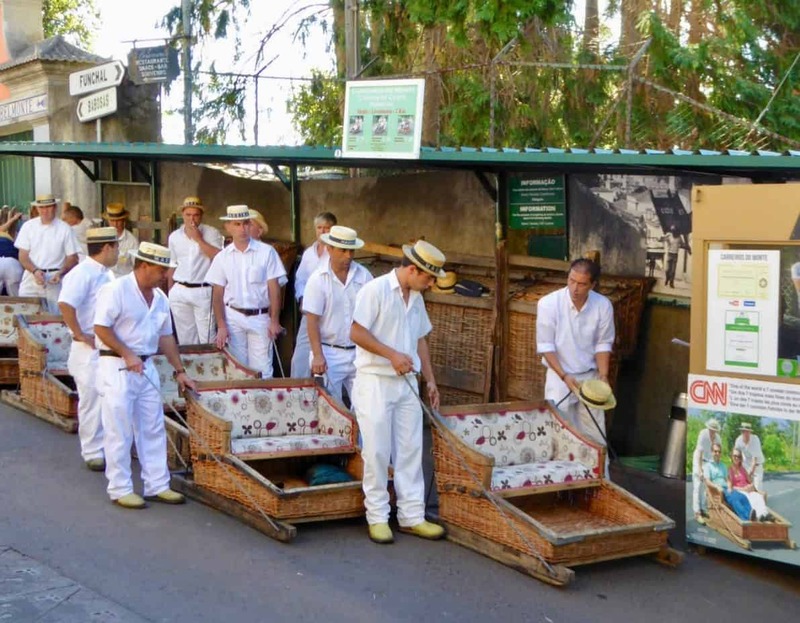 Toboggan drivers preparing for the thrilling hillside decent in Madeira. This was part of a half day shore excursion we booked via P&O Cruises. 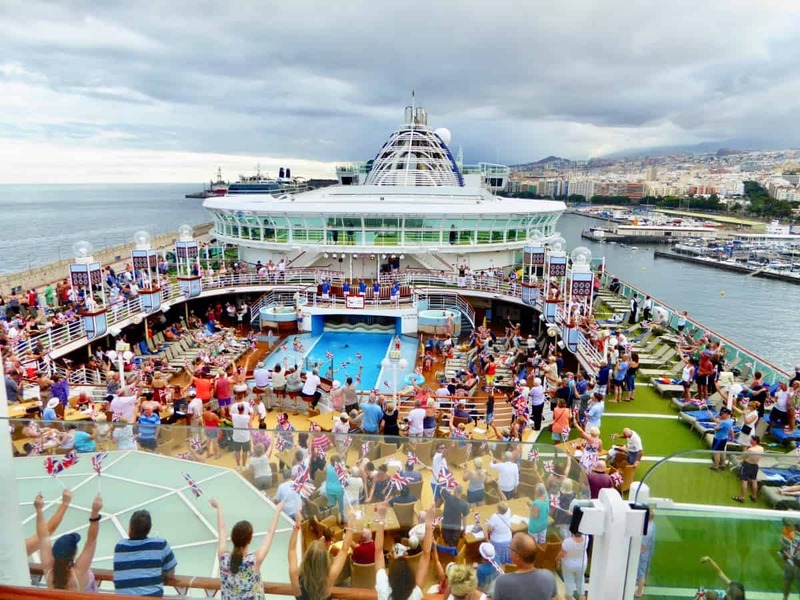 Of course one of the major benefits of a cruise holiday compared to a regular holiday is the opportunity to explore many ports (sometimes countries) in one trip. If you cannot decide whether to explore independently or via the onboard shore excursions department check out my guide here – Booking shore excursions verses sightseeing independently. In this article I have shared my experience and knowledge from working onboard cruise ships managing the shore excursions department. I hope you find it helpful. 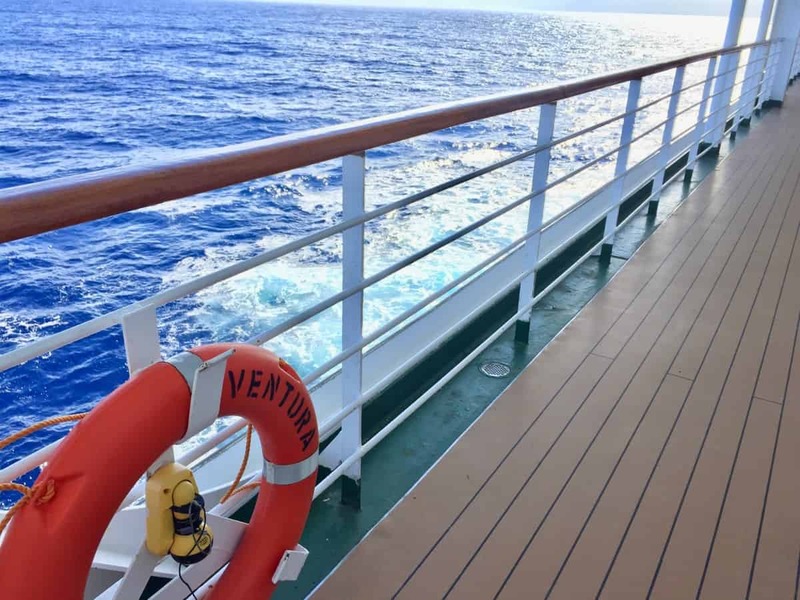 Top tip – Not all ships have a promenade deck, (i.e. P&O Cruises Britannia doesn’t). If this is important to you make sure you check the ship deck plan before you book your cruise. Formal dinners are a huge part of the cruising way of life. My favourite dinner onboard has always been the last formal night when it’s traditional for the chef’s and kitchen staff to take a tour through the main dining areas. I always get quite choked up to be honest as the crew work so hard to produce the endless meals and buffets during a cruise and they always look so proud when they receive a standing ovation from all of the (well-fed!) passengers. 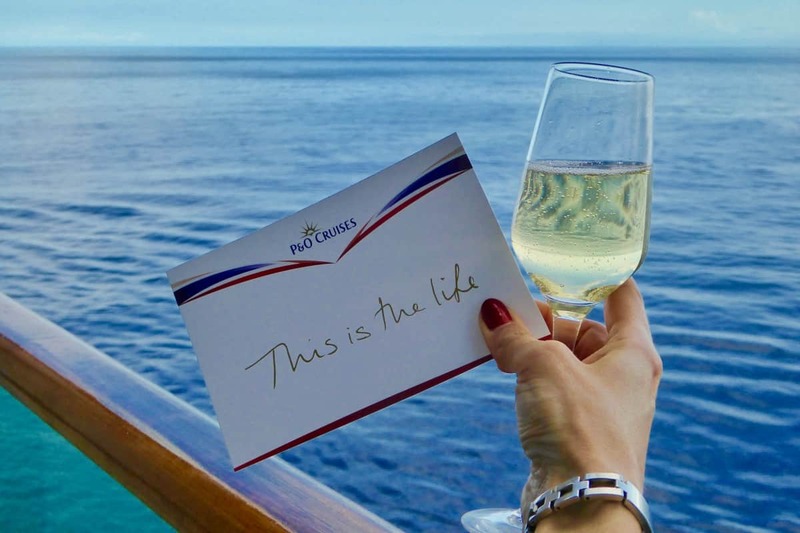 Top tip – Make sure you have your camera to hand and ask your servers to sign your souvenir menus, it will make their day and it will be a lovely keepsake of your cruise for years to come. 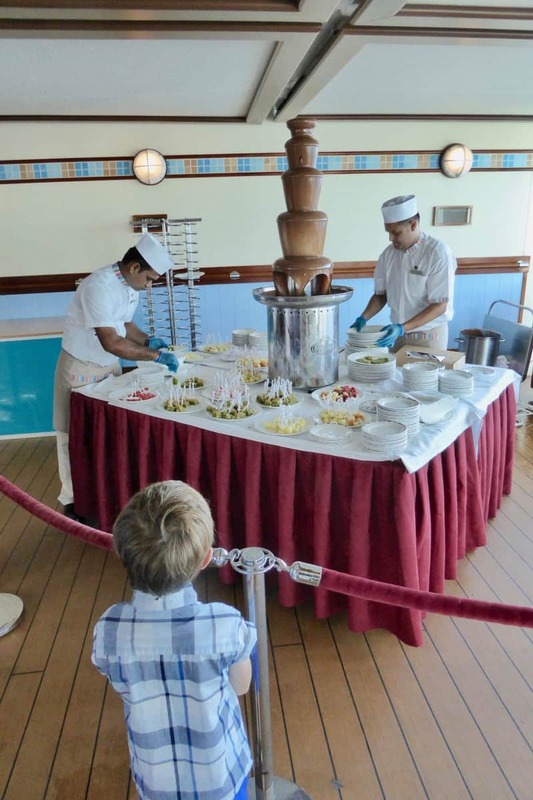 Last but certainly not least as its one of my sons absolute favourite experiences when cruising… the chocoholics buffet. There will be trays upon trays of the most delicious looking chocolate puddings you have ever seen and there will often be a chocolate fountain too for dipping in fresh fruit! This right here may just be the reason why many passengers put on so much weight during a cruise… it’s SO worth it though! 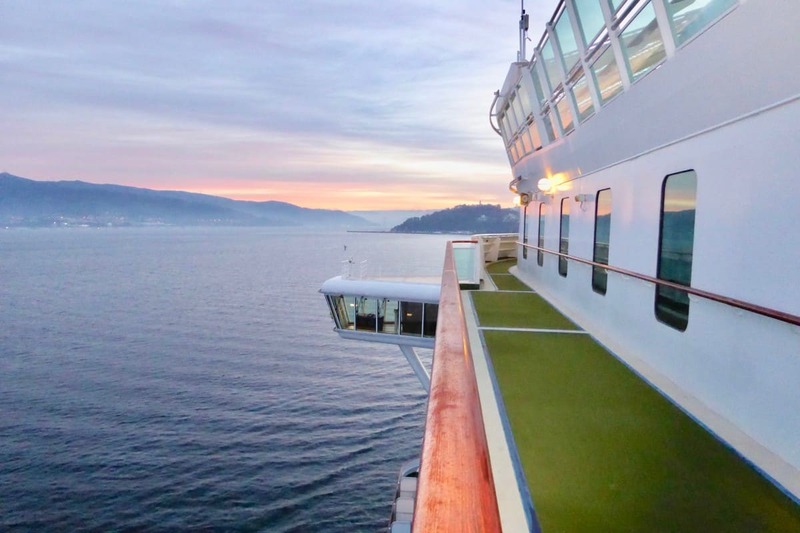 Do you have any unmissable cruise experiences of your own to add? Please pop them in the comments below. I would love to know what aspects of cruising you most enjoy with your family.